Warner Bros. Studio Tour Hollywood in Burbank, California offers a 3-hour visit inside a real working hollywood studio! The tour includes exclusive access to original props, costumes, picture cars, and sets used from Batman to Friends. 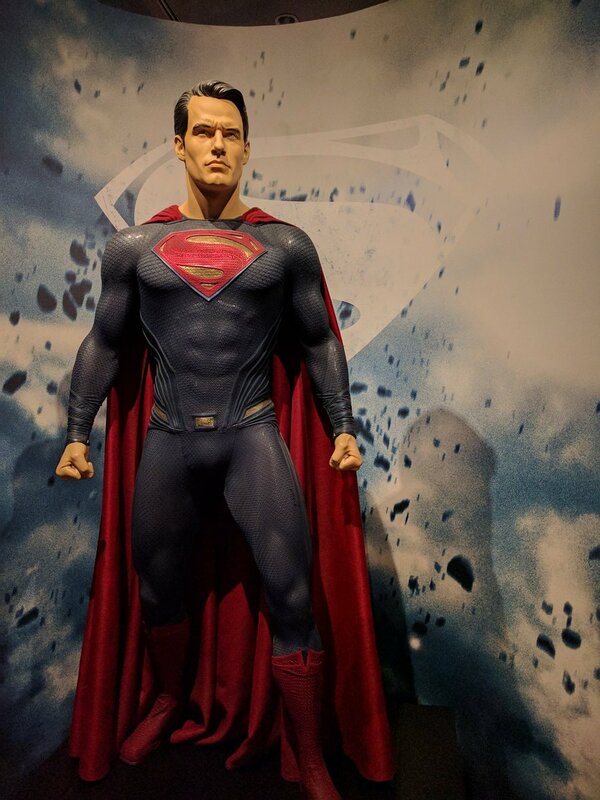 Additionally, studio tour guest will stop at the DC Universe – DC Comics Exhibit, the real Central Perk Friends set, original Batman Museum – Batmobile Collection, and so much more. Despite having visited California a lot of times, this was actually my first time doing this tour. We actually did it on the last day of 2016! 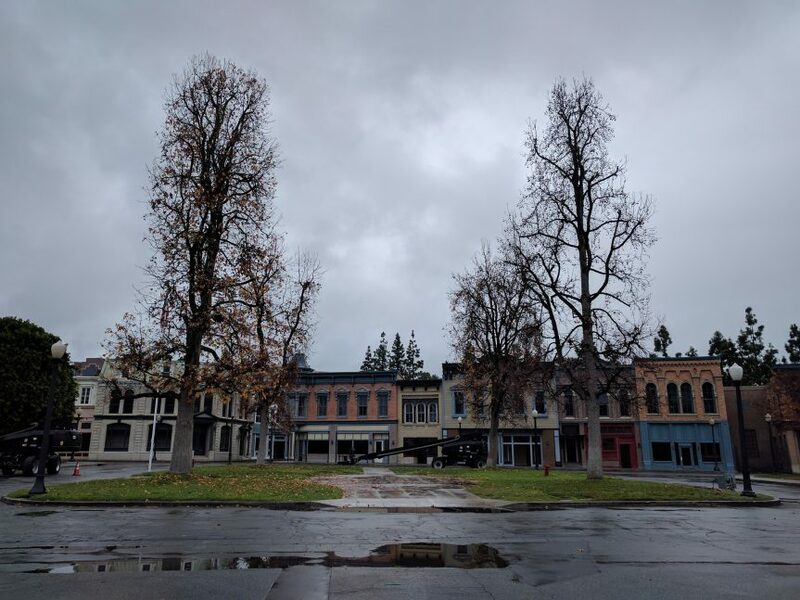 I was very excited because a lot of my favourite shows are made by Warner Bros.’ like Big Bang Theory, Gilmore Girls, Friends, Two and a Half Men, 2 Broke Girls, and more, so I really wanted to see the sets for them. Any of you share the same favourites? When you enter the tour entrance, there’s a waiting area for people doing the tour. It was quite packed when we went so I was initially taken aback on how many people we’re going to be with in the tour. However, it turns out that they actually break down all the people into a lot of mini-tours, where each tour group is about 10-12 people. We were led to a theater room to watch an introduction to Warner Bros. video hosted by Ellen DeGeneres. After the video, we were led to our tram and the tour has officially started. Our tour began at the Hollywood back lot, where you get to see the various points of interests from your favourite shows. It’s amazing how realistic the sets are to the actual location like New York City, Pasadena (California), and more. Perhaps the most central part of the lot is a neighborhood with a central square. This space has been used by so many TV shows, and one in particular is Gilmore Girls (remember Stars Hallow?). Lots of houses near the square is home to popular TV Shows. We got to visit the house of Friends’ Mr. and Mrs. Gellar where the Prom Date episode happened. It turns out, that same house is also Gilmore Girls’ Mrs. Kim’s Antique Shop. One thing I was surprised to find out is most of the houses were made for dual purposes in the front and back. We were led to Girlmore Girl’s Lorelai’s house. After crossing the house and exiting the back, the back actually looks like another house, Sookie’s House! So they both actually use the same house! Some other points of interests from my favourite shows that I saw were Luke’s Diner (which didn’t really look like it at all) and Ms. Patty’s Dance Studio from Gilmore Girls, Central Park from Friends (Phoebee Runs episode). Our next stop was the Warner Bros. Museum, where we got to see costumes and props from many recent Warner Bros. productions, including the new Harry Potter film, Fantastic Beasts and Where to Find Them. First floor showcases DC Comics like Batman and Superman. Second Floor was all about Harry Potter, which I love! They have costumes, props and figures from the Harry Potter films. There was also a section where you can get sorted to a House – I was sorted to Gryffindor, obviously. Luckily, our visit also had the new installment for Fantastic Beasts and Where to Find Them in the museum. One of my favourites there was a showcase of Kowalski Quality Baked Goods. We then headed to Stage 22, which is the Sound Stage for the TV Show, The Fosters. I was quite disappointed that we went to this particular sound stage as none in our tour group actually watch The Fosters so we won’t get to appreciate it as much. I was really hoping to see the stage from my favourite shows. My brother told us when he visited the first time, they were taken to the Big Bang Theory and 2 Broke Girls sound stages, which is what I was hoping for. There’s no photography allowed in the Stage because you could be taking photos of potential spoilers of unaired episodes. For this Stage, the setup was the house of The Fosters. I found this much more interesting than the backlot sets because you actually get the feel of what’s on set. The character of the set is left as-is so it’s really like you’re in the show. We visited the the Warner Bros. Prop Department, home to more than 450,000 registered artifacts and contains countless treasures used in nearly a century’s worth of entertainment. The department is 200,000 square feet and four floors of set dressing. We only toured one floor and got to see props from Casablanca, to The Matrix, to The Hangover. 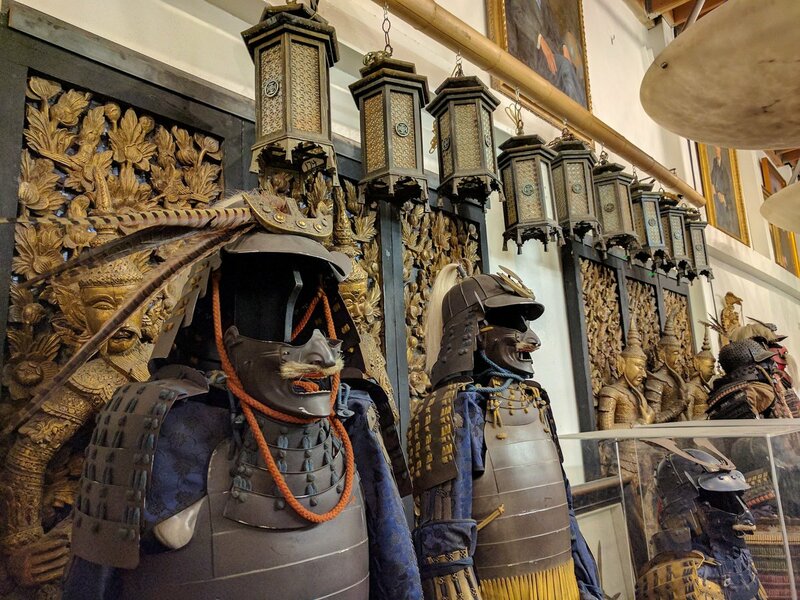 Some interesting props I saw: The West Wing’s President Bartlett’s Desk, The Hangover’s Giraffe foot breaking thru the roof, Inception’s Samurai costumes. I guess itineraries change depending on your tour guide: my brother said they didn’t visit this place last time he went. Right next to the Prop Department is the BATCAVE, which used to be the Picture Car Vault. We got to see all the incredible Batmobiles used in the celebrated Batman film series like the TUMBLER, the BATHAMMER, the BAT-POD, and more. More photos of the Guided Tour from my Facebook Page. Stage 48: Script to Screen is the interactive soundstage which explores phases of the film and television production process. You basically get to learn how Hollywood is made. In the pre-production soundstage, you get to learn the writing and casting phases, and costume design with various interactive stations. In the production soundstage, this is where the interesting stuff happens as you’ll learn firsthand how actors and directors make unforgettable scenes. The most amazing part of the tour is in here and it’s the authentic Central Perk set from Friends! You can even have photos on the actual set. You can also find the Malibu beach house set from Two and a Half Men, the authentic Russian Soyuz capsule from the 2013 science fiction thriller Gravity, and much more. Another cool interactive part in the production soundstage is we got to take part in the mind-bending special effect called “Forced Perspective Filming” with Lord of The Rings: The Fellowship of the Ring. In the post-production soundstage, we see the final finishing touches that turn a director’s vision into reality. We got to see the green screen experience of making movie making like riding the Nimbus 2000 or Firebolt brooms in the Harry Potter film series (I would love to do this but you actually have to pay) or riding the Bat-pod across the streets of Gotham. There’s also some interactive display to show the secrets to “Motion Capture” visual effect, using Dobby as an example. There’s also a fully equipped, state-of-the-art recording studio which was closed when we went. In here, we were supposed to learn how speech, sound effects and music are all added to film. Also in the Stage 48: Script to Screen soundstage is a working, branded replica of the Central Perk Café from Friends! Did you know? This working café is the only place in Los Angeles where Friends fans can order, purchase and enjoy an actual cup of Central Perk branded coffee! More photos of the Self-Guided Tour from my Facebook Page. Have you done the Warner Bros. Studio Tour Hollywood? Which Warner Bro’s TV Show would you love to see in the tour? Posted on February 21, 2017 by Travelling FoodiePosted in Burbank, California, Travel, USATagged activities, entertainment, tours. spending time to talk about this issue here on your internet site.